Choosing a mate. Faithfulness. Maintaining healthy communication. Sexual intimacy. Blended families. Forgiving each other. Career and family goals. The challenges of infertility. Disagreements over parenting styles. The stress of money and finances. Aging and retirement. Couples face an enormous variety of challenges over the course of a marriage--including maintaining the marriage itself. 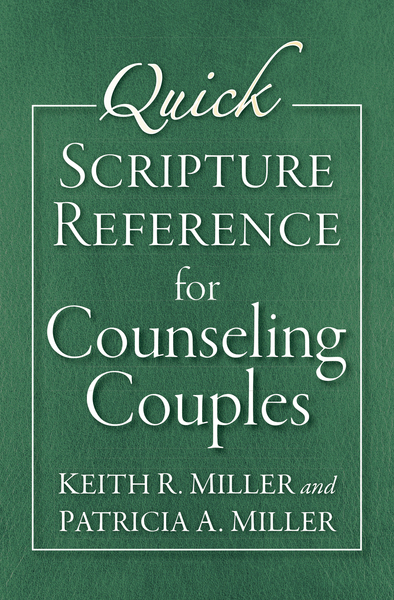 Quick Scripture Reference for Counseling Couples is just what struggling couples--and those who counsel them--need. In a convenient spiral binding, this helpful resource makes the power, encouragement, and hope of Scripture accessible to pastors and counselors as they guide couples, both through premarital counseling sessions and when they hit those inevitable rough patches in marriage.